ALMOST P2 million worth of illegal drugs were seized by authorities, while two high-value targets (HVTs) were arrested and their drug den was destroyed during Friday’s entrapment operation in Mati City, Davao Oriental. Noli Nephi Dimaandal, information officer of the Philippine Drug Enforcement Agency (PDEA)-Davao, said agents from PDEA-Davao Oriental Provincial Office, along with their counterparts in Mati City Police Station and Davao Oriental Police Provincial Office-Provincial Intelligence Branch, conducted a drug bust last February 8 around 4:10 p.m. in Purok Centro, Barangay Tamisan, Mati City, Davao Oriental. Dimaandal identified the two HVT suspects as Francis Joven Malintad Evaristo alias Owen, 36, married, a resident of Barangay Lawigan, Mati City, Davao Oriental; and one Rodel Pedraya Juanir alias Bem-Bem. Evaristo is tagged as the number 9 drug personality in the City Target List operating in Mati City. Evaristo sold to an undercover operative one piece of small sachet of "shabu" (methamphetamine hydrochloride) worth P500. The raiding team also discovered various sizes of sachets of "shabu" weighing more or less 150 grams with a street value of more or less P1,800,000, assorted drug paraphernalia, and the P500 marked money. 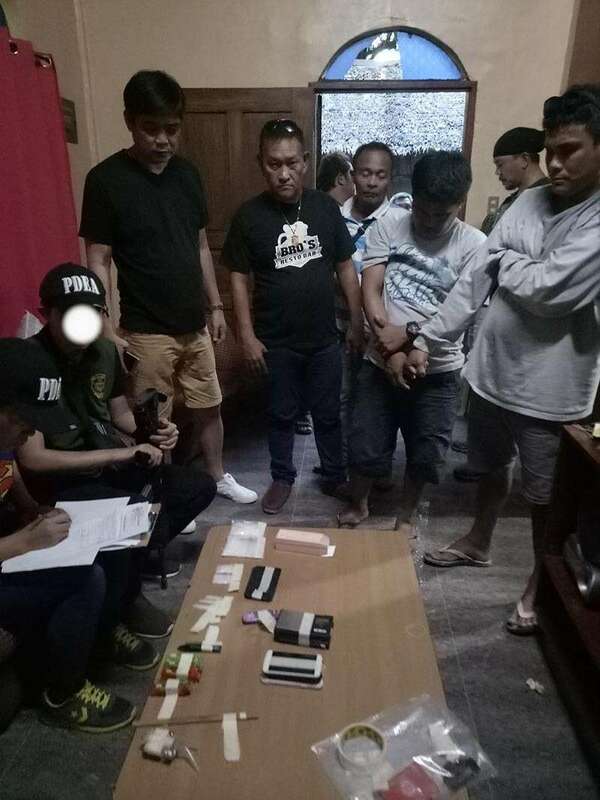 During the operation, alias Bem-Bem, a suspected drug den visitor, was also arrested, while Genis Evaristo, the suspected drug den maintainer, eluded arrest after sensing the anti-drug operation. The suspects are currently detained at Mati City Police Station detention facility. The seized illegal drugs were submitted to PDEA's Laboratory Service for examination. Cases for violation of Republic Act 9165, otherwise known as The Comprehensive Dangerous Drugs Act of 2002, are being prepared against the suspects.